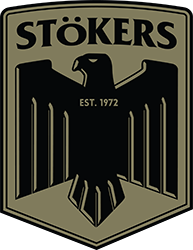 Originating in Stokers Siding Garage in 1972, Stokers VW Parts has been servicing, repairing and supplying parts to Volkswagen enthusiasts for over 40 years. We stock a huge range of parts from early air cooled to current models. We also stock a range of Audi, Skoda and SEAT spare parts. Stokers VW parts offers full mechanical repairs and log book servicing from experienced and enthusiastic Volkswagen mechanics. Conveniently located in the Industrial Estate of Byron Bay.